3 for $84.00 total Need more quantities? Hydrangeais a valuable genus of some 100 species of shrubs and vines grown for their large and very showy flower heads. Hydrangeas are at their best in summer and fall—quiet time for most woody plants—and are worth having for that reason alone. 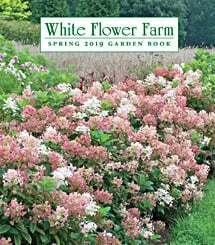 I am a new gardener and went to White Flower Farm to pick out some foundation plants for our home. The gardener at WFF recommended these hydrangea for our space and thoroughly explained how to care for them. I followed her instructions and they survived our long winter are back this year and larger than before! When we purchased the plants last fall, they were already changing from white to the fiery pink/red and the color was just beautiful. I look forward to these filling in over the next few years.